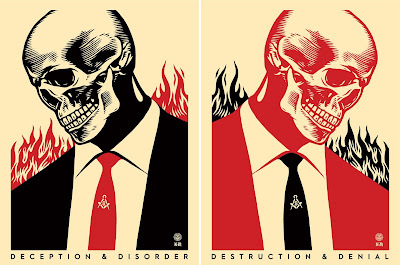 The Blot Says...: Obey Giant Disruption & Disorder Screen Print Diptychs by Shepard Fairey x Francisco Reyes Jr.
Obey Giant Disruption & Disorder Screen Print Diptychs by Shepard Fairey x Francisco Reyes Jr. 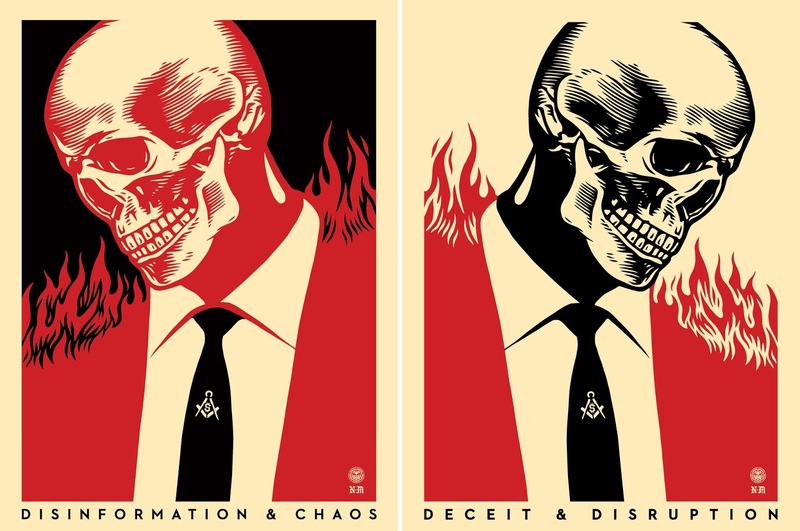 The “Deceit and Disruption” Diptych and the “Destruction and Denial” Diptych by Shepard Fairey x Francisco Reyes Jr. are 18”x24” signed and numbered screen prints on cream Speckletone paper. Each set of 2 prints is limited to 200 pieces and will retail for $110 per diptych. 150 of each diptych will go on sale at 10am PST today, Tuesday, July 11th, at the Obey Giant online store, with the remaining 50 sets of each diptych available at the same day and time at the Never Made online store.